The Barbra Trousers are very soft and feminine. Ultimate trousers in a chique seventies vibe taking you to your cocktail party in that perfect flagstone James Bond house.. but they also hug you when you are staying on your couch. The trousers are fully lined with the same fabric so no imperfections are seen, and they are not sheer at all. The double heavy weight fabric gives it the luxury appearance we wanted to design. 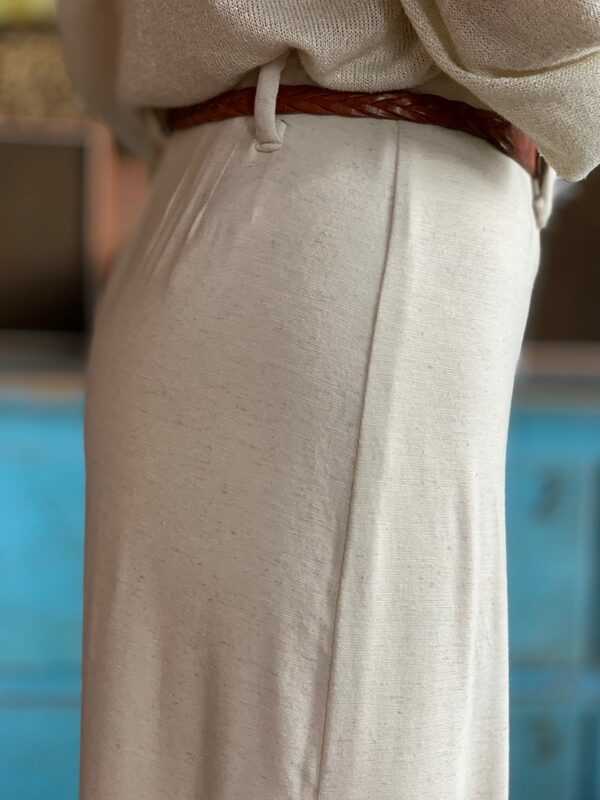 Loops for your brown vintage belt and a beautiful wide hem at the bottom. The big elastic band on the inside is … off course… golden. Waist size unstretched at XS 70cm / S 74 cm, M 78 and at L 82 cm.